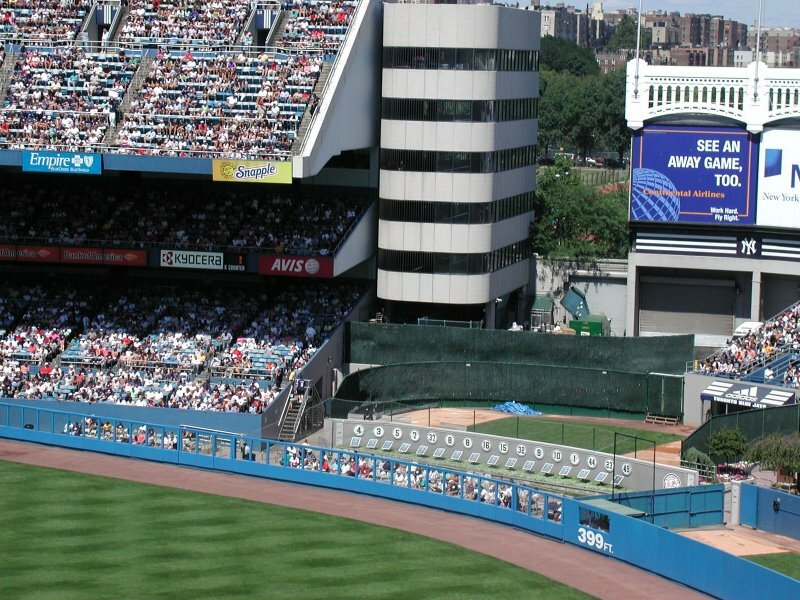 Major League Baseball Stadiums – Take me out to the ball game! This historic home of the infamous New York Yankees was built in May 5, 1922 and is situated in the Bronx. It has hosted Yankees home games since 1923. Mainly built of steel, the triple decked grandstand extends behind the home plate and the baselines. Its seating capacity is for 58,000 but because of the team’s popularity sometimes the number of fans would reach up to a whopping 80,000! 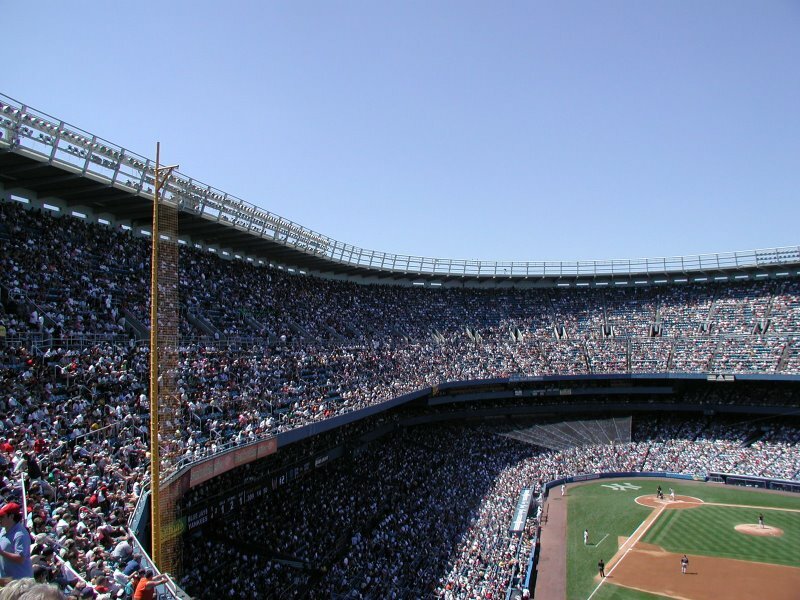 It is one of the most popular sports venues in the world due to the fact that the Yankees have won the World Series championships more than any other team. Since its opening in 1923, Yankee Stadium has been home to 26 World Championship teams. 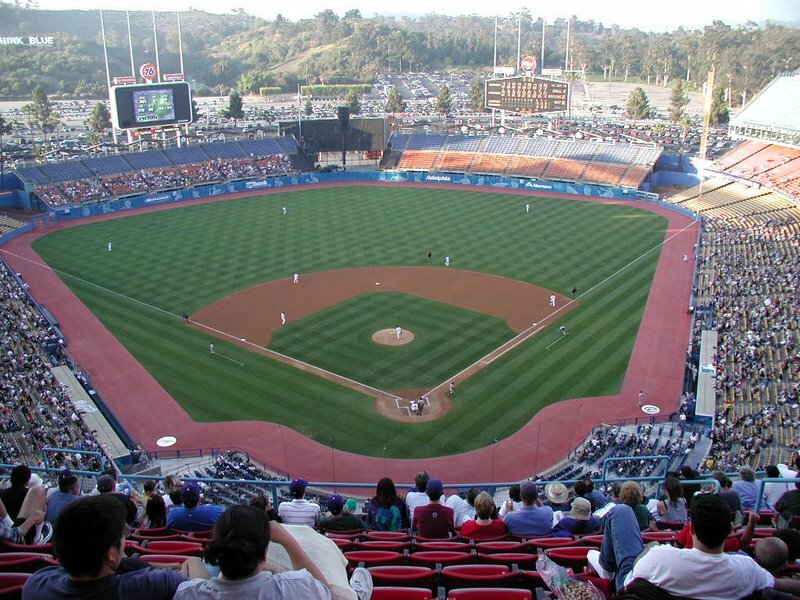 Home of the famous Los Angeles Dodgers, the Dodger Stadium was built between 1959 and 1962. 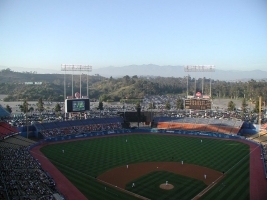 The stadium is built into the hillside with massive parking lots surrounding the Dodgers home. Upon entering Dodger Stadium, fans encounter a massive stadium with stunning views. Four of the five seating decks stretch from foul pole to foul pole at Dodger Stadium. The top upper deck stretches from the first base side to the third base side. A wavy top roof hangs over the back of the bleachers that are located behind both left and right field. Two scoreboards are above the bleachers. 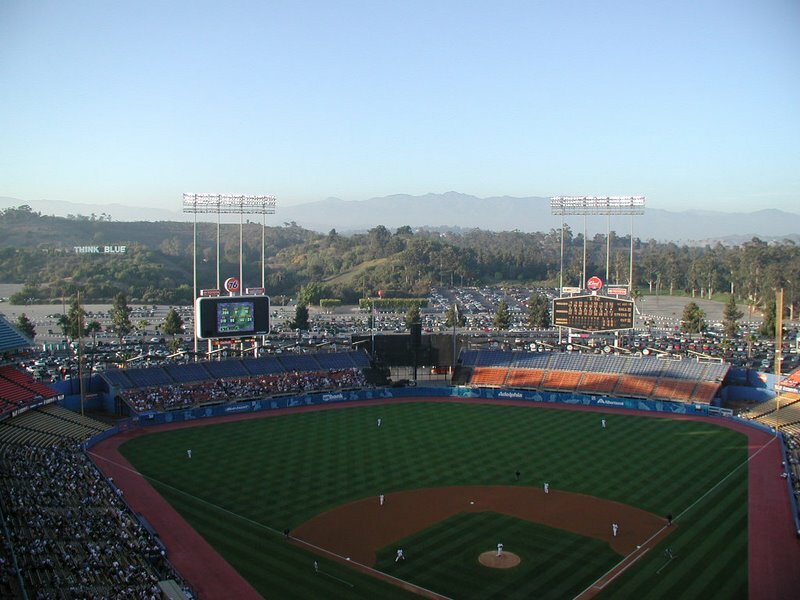 The atmosphere found at Dodger Stadium is hard to beat anywhere else in baseball and although it is more than four decades old, Dodger Stadium still ranks as one of MLB’s top ballparks. Considered one of the most beautiful ballparks of the MLB, it is home to the Cleveland Indians of the American League since 1994. Located in downtown Cleveland, it was built in 1992 and is named after former team owner Richard Jacobs. 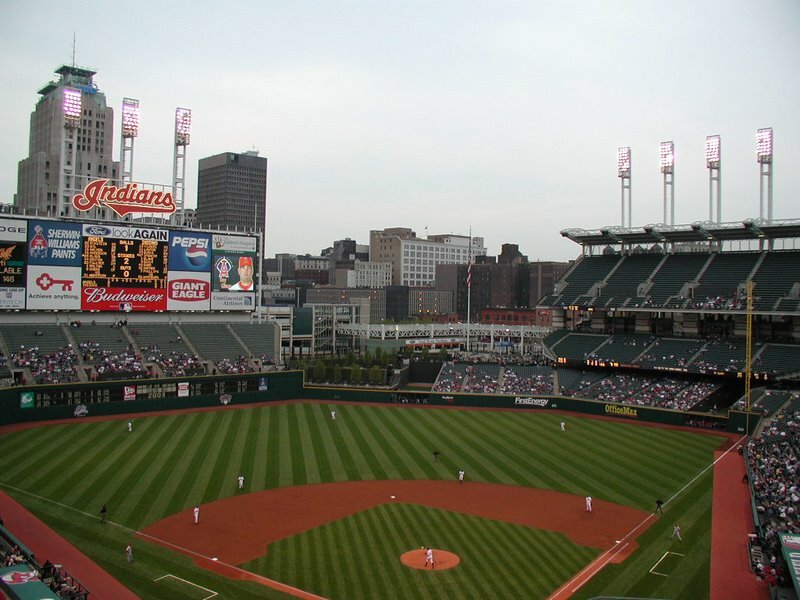 The stadium was built so it would blend in with downtown Cleveland; from its exposed steel design that matches many bridges on the North coast and the vertical light towers that match the smoke stacks of Cleveland’s industrial zone and the high-rise office buildings in downtown Cleveland. Jacobs Field has provided the city with many great memories, including hosting the 1997 All-Star Game and three games of the 1997 World Series. 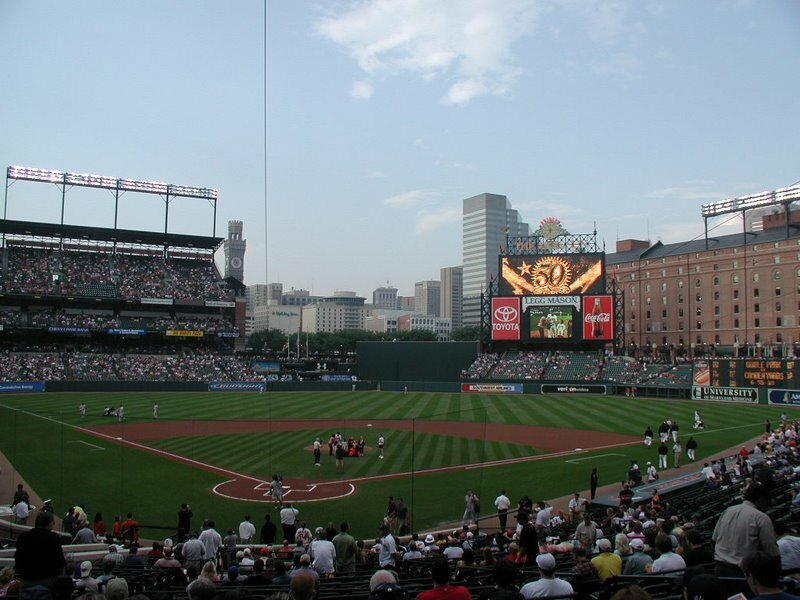 Built in 1992 to replace the aging Memorial Stadium, Camden Yards is now the home of the Baltimore Orioles of Major League Baseball. The Baltimore Orioles played their inaugural first game at Oriole Park at Camden Yards on April 6, 1992. The ballpark is nestled on the edge of downtown Baltimore. 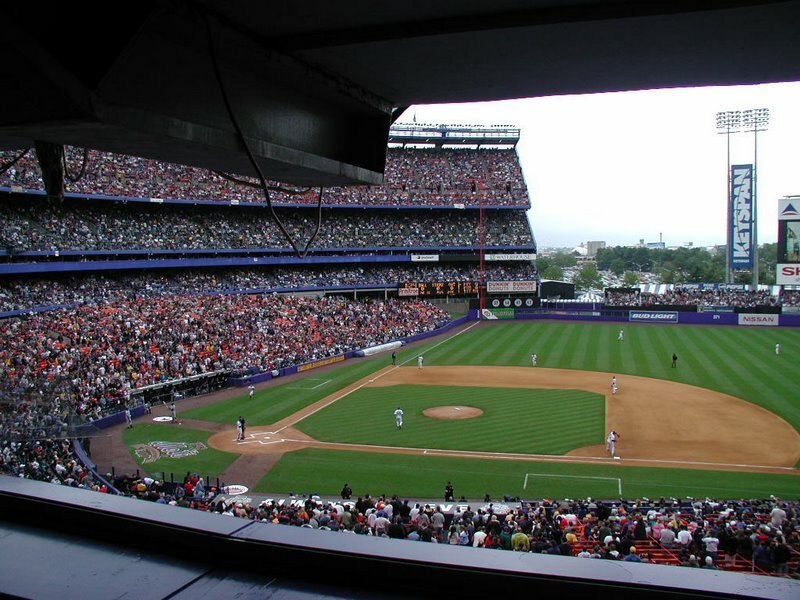 The ballpark consists of a three tier grandstand that stretches from behind home plate, down the third base line and around the left field foul pole; and down the first base line. All 48,190 seats are green replicating ones in bygone ballparks. Additional seating is located under the main score/video board in right center field. Large open air concourses allow people to easily move around Camden Yards. Home of the New York Mets in Flushing, New York since 1964, it is one of the oldest ballparks in the National League. Originally to be called Flushing Meadows Park, the stadium was renamed in honor of William A. Shea, thus getting its name Shea Stadium. The New York Mets played their first game at Shea Stadium on April 17, 1964. The five tiered stadium seated 55,601. It was the first stadium of its size to have an extensive escalator system, being able to convert from a football gridiron to a baseball diamond by two motor operated stands and in which every seat was directed at the center of the field. 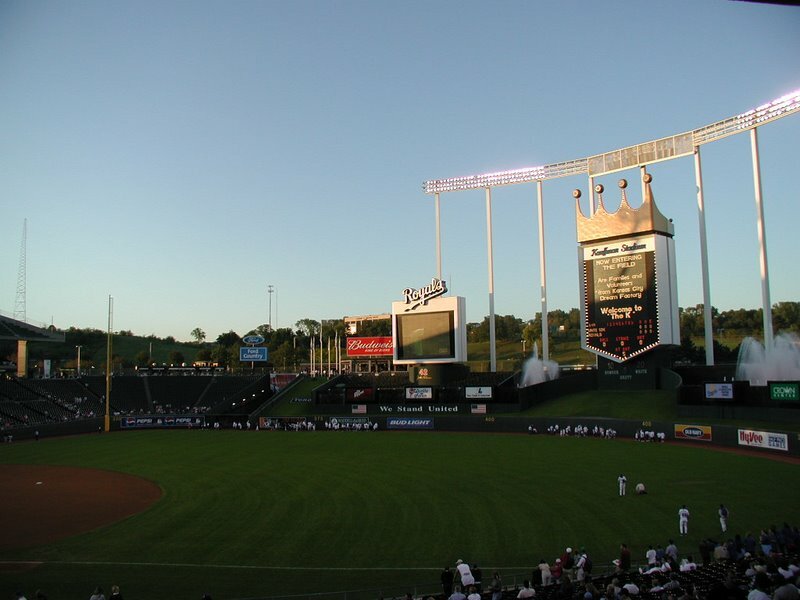 Originally known as Royals Stadium, the ballpark debuted on April 10, 1973 and is home to the Kansas City Royals. The stadium was very colorful, with 40,793 seats, all facing second base and arranged in three tiers with maroon, gold, and orange seats. The stadium was the American League’s first ballpark with Astroturf as the playing surface. The most unique feature of the stadium was the water fountains beyond the outfield fence. The fountains, stretch 322 feet horizontally, and have a 10 foot high waterfall that descends from an upper cascade pool that serves as a background for two water fountain pools. 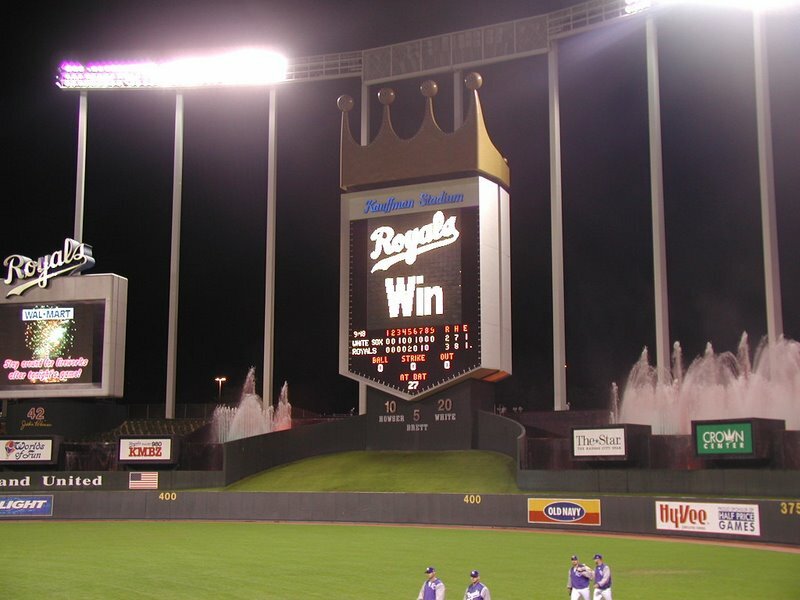 A 12 story scoreboard, in the shape of the Royals’ crest, is located beyond the centerfield fence.